Kaye Wigg’s KazeKidz Annabella will be cast by an outside company. 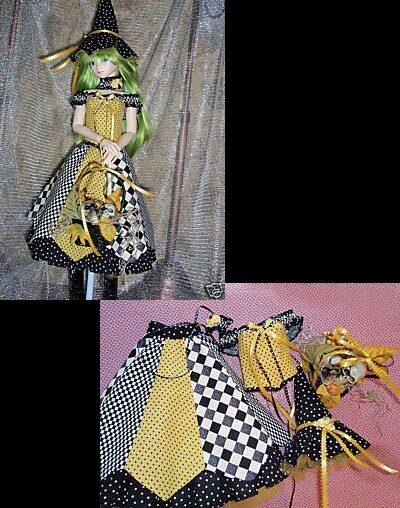 The dolls will be sold through JpopDolls. Annabella is an MSD size head and she will be sold with a new KazeKidz doll body as a full doll. 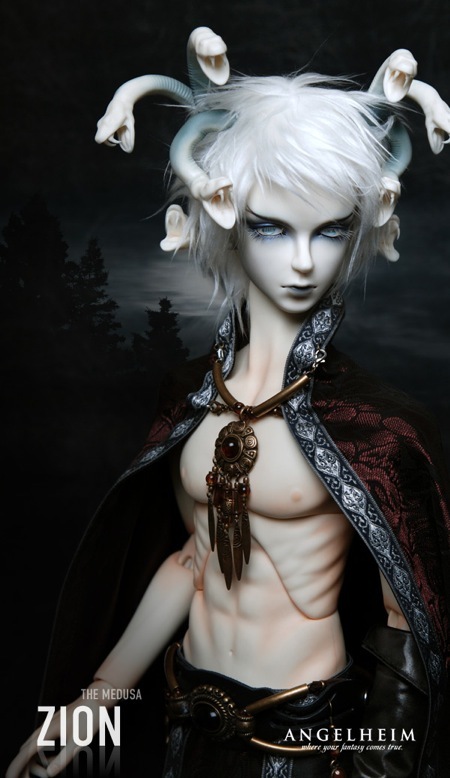 An elf version and human version will be cast in a normal skin resin. At this time, the plans are to cast 50 of each doll. Annabella will be sold with a face-up but by a different artist (Kaye has previously created all of the face-ups herself). 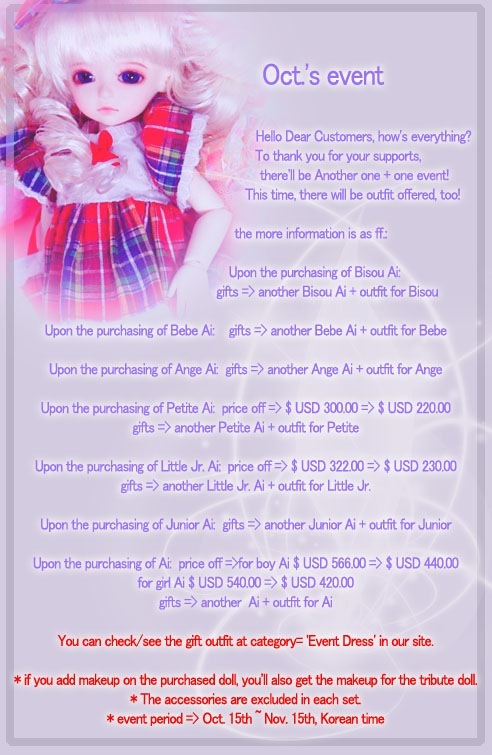 To get on the waiting list for a doll, email Jpop Dolls HERE. The exact release date is not yet decided. To read the rest of Today’s News, go HERE. 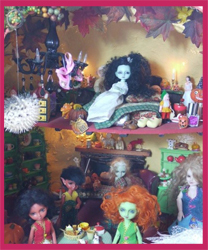 Many of the individuals who have appeared on BJDcollectasy share their doll and items with a Halloween theme. Take a look at their work HERE. Gallery of photos can be seen HERE. 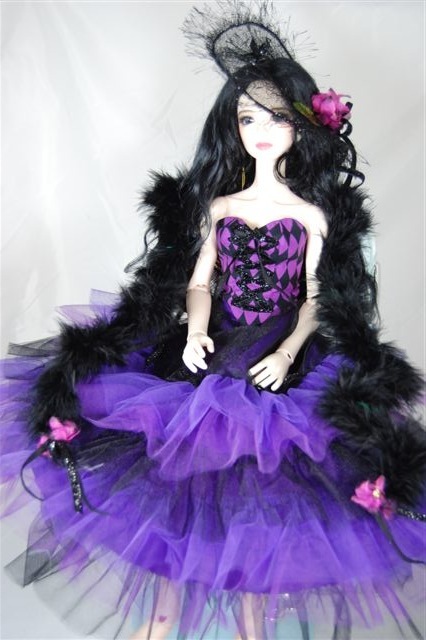 DollFactory has released a new anthro doll named Kiki. The 12 cm tall Pet Ari pig doll can be ordered in a normal skin version or a Special white skin version. The dolls are sold as basic dolls with acrylic eyes. The normal skin version can be optionally ordered with either pink or brown face-up and vest or dress. The white Special Kiki can optionally be ordered with a black spotted face-up or a face-up and body blushing. Alice In Labyrinth is starting their 2nd Anniversary sale. All doll heads are available for order at 20% off. The sale runs from now until October 31. AiL sells 8 differnt models of SD size doll heads (Alice, Bertram, Chloe, Elijah, Fiona, Glen, Heyley, Dreaming Alice) and one MSD size doll head (Daryl). 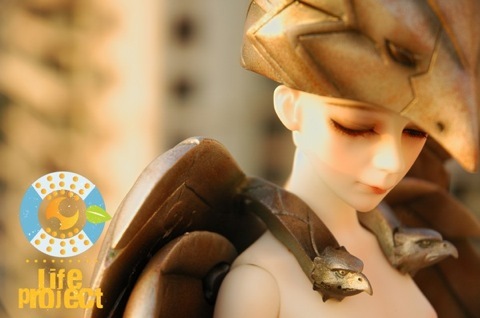 The heads were designed to fit Volks and similar size bodies. Heads come blank only and can be ordered in white or normal skin resin. The heads do not come with eyes. 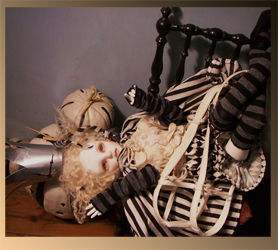 The Modern Doll Collectors Convention will be held October 14 – 17 in Albuquerque, NM. At the show a pair of one-of-a-kind Elfdolls dressed as King Arthur and Guinevere will be auctioned off. Costumes, face-up, and hairstyles are by Marie deSoto, chain mail by Spiderchain Jewelry, leggings by Doll Secrets, Guinevere’s shoes by Dale Rae Designs, and stands by Joel & Reba Davis. The dolls were donated by Ms Cholong.